These weeks, Theater Minsk visits the Turkish festival ATTA – an internationally recognized theater festival for children and young people. 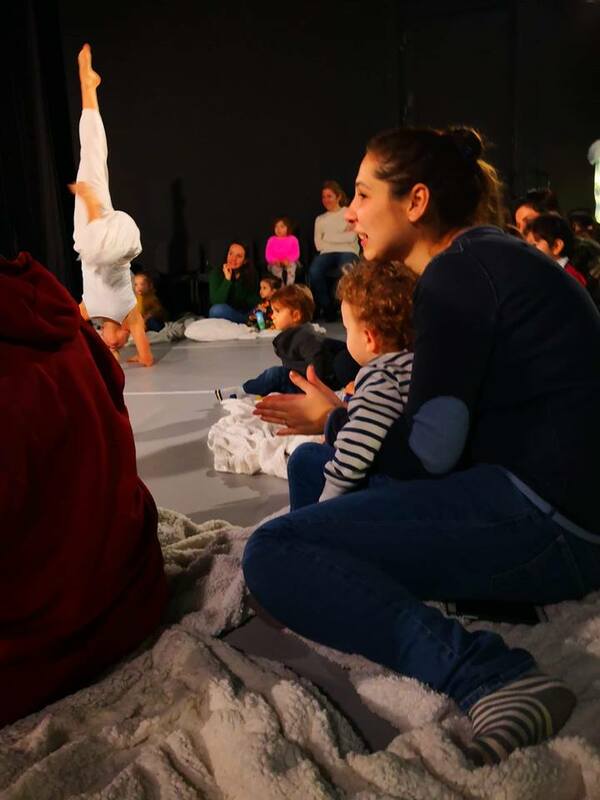 In the course of three days the Danish dance theater performs “Sky” – an inclusive and sensuous dance performance for children of 1-5 and their parents. In cooperation with Danish Cultural Institute, the contribution of Theater Minsk to ATTA is carried out with a focus on exchanging experience, network building and research between Theater Minsk and Turkish and international performing artists and participants of the festival. Theater Minsk will also lead three on-site workshops for Turkish acting students during the festival. A presence in Turkey is important because the country is placed right in the middle of east, west, north and south, and between the Middle East, Asia and Europe. With pop-up events such as the very well-visited children’s culture festival, in september 2019, participation in Turkish movie festivals, planned art exhibitions and through short term and long term cultural exchange programs, in 2018, DCI has started a strategic and focused effort to build stronger bridges between the Danish and Turkish scenes for art and culture. Since the start of 2018, DCI has been a partner and project developer of exchange activities in the areas of children and young people, performing arts, film, music and visual and contemporary art. Theater Minsk visiting Istanbul is also part of an ongoing exhange project between the Danish and Turkish scenes for performing arts, which began in the Spring of 2018 in a collaboration between DCI, ZeBU, Theater Minsk and ATTA Festival. Besides Theater Minsk’s contribution to the festival the project entails that Turkish representatives comes to Copenhagen in the Spring of 2019. Here, a Turkish delegation with ties to ATTA and performers of a children’s performance co-produced by the festival, will contribute to and have a professional exchange with several theater festivals of Copenhagen. The latter consists of SPRINGFestival, ZeBU, CPH Stage, SubURBAN Dance Festival og Teater Minsk. ATTA is the only international theater festival for children and young people in Istanbul and Ankara. The festival, currently in it’s second iteration, aims to represent theater, dance, music, films and exhibitions as well as interactive content for audiences from 0 to 18 years. With a fresh and innovative brand the festival has it’s finger on the pulse, when it comes to current and up-coming tendencies within the international community for performing arts for young people and children In 2018, ATTA festival takes place from November 14th to December 10th and, directed by producer, translator and actor Hakan Silahsizoglu. Theater Minsk creates dance theatre for children and young people. 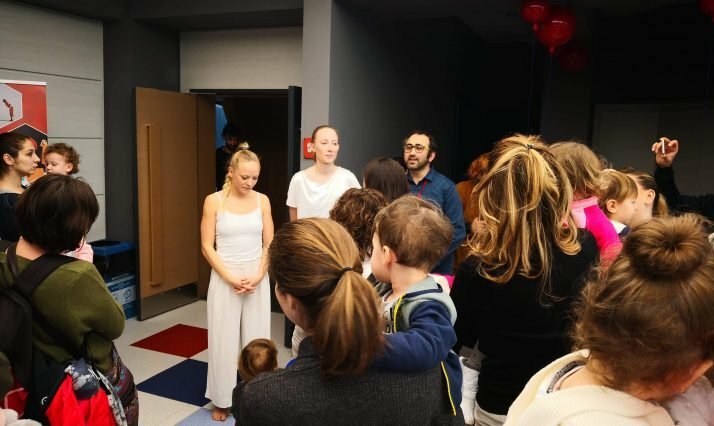 The theater works with a physical narrative-language, which is both accessible and relevant to a young audience and develops dance theater as an art form in meetings between artists and artistic formats. Meeting the audience is the theater’s principal driving force and each performance is therefore focused on contact, cooperation, and co-creation. Theater Minsk is proud to present a number of different and very unique artists. The artistic leadership is responsible for overall direction, artistic ideas and concepts and appears in the theater’s performances. Each performance is, however, a cooperative process, where director, choreographer and artists meet and pushes the bundaries of narrative forms and dance. At the moment, the theater is led by Anne Nyboe og Loa Carlslund, but during the visit in Istanbul, Theater Minsk is made up of Loa Carlslund and My Marie Nilsson. On December 2nd, 8th and 9th, Theater Minsk will perform “Sky” a total of senven times, several of the performances are already sold out. “Sky” premiered in Denmark in 2016 and has been performed across the world. Theater Minsk’s participation in the ATTA Festival is financially supported by the Danish Arts Council, IKP (International Panel for Culture) and Danish Cultural Institute. 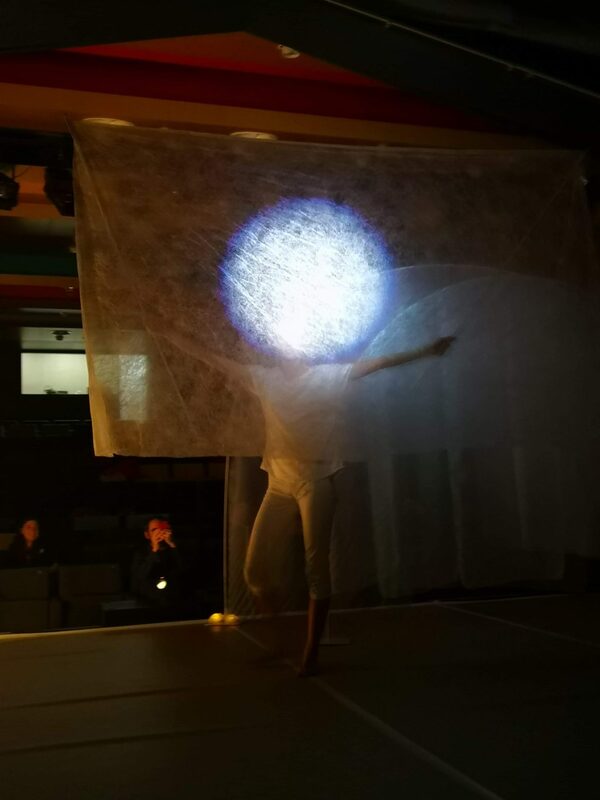 Performances: Sunday, December 2nd, Theater Minsk performed “Sky” three times at Halis Kurtça Çocuk Kültür Merkezi / Halis Kurtça Children Cultural Center in Istanbul. The coming weekend – on December 8th and 9th respectively – there will be two performances each day, 11.00 and 12.30, at Mimar Sinan Üniversitesi Çağdaş Dans ASD / Mimar Sinan University Modern Dance Department i Istanbul. Workshops: Tuesday, December 4th, a workshop is held (from 12.00-16.00) for turkish stage performers at Halis Kurtça Çocuk Kültür Merkezi / Halis Kurtça Children Cultural Center in Istanbul.